There is scope for candidates who are already working in an EU institution to progress and rise in their careers through internal competitions. These competitions are occasionally held, once in about five years, by the EPSO and EU organisations. Fresh candidates are barred from applying for these exams and only those who are already in Administrator or Assistant positions in an EU organisation can take part. It is also open to temporary agents who might want to seek a permanent position within an EU organisation. 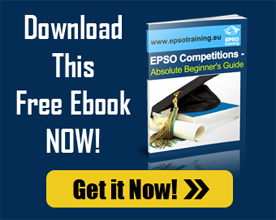 Though these exams have strict criteria for who might apply, they follow the same procedures as other exams conducted by the EPSO and EU organisations.